Noisy bunch: can the 'Yellow and Blue Army' drown out Munster's 5,000 strong travelling fans? MUNSTER SHOULD be afraid. Very afraid. On Saturday evening in the semi-final of the Heineken Cup they will encounter a Clermont side at the top of their game. 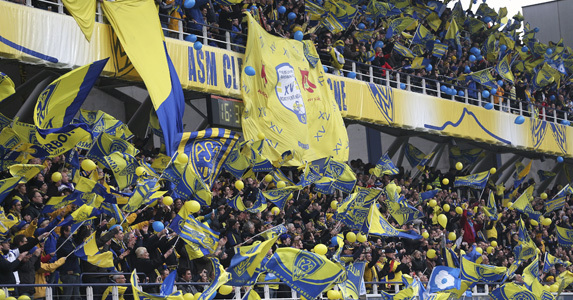 So what if an estimated 5,000 of the ‘Red Army’ will descend on Montpellier’s Stade de la Mosson for the mouthwatering clash; Clermont have enlisted 22,000 foot soldiers, and every one expects their boys to do to Munster what they did last week to Toulouse – thrash them. 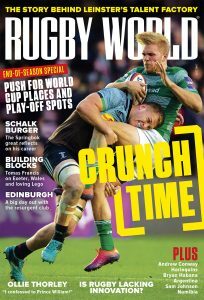 Clermont’s 39-17 destruction of Toulouse last Saturday must have made Munster shudder, particularly given that they themselves had slumped to defeat away at the Dragons. Okay, so Munster might have been fielding a largely second-string side but that’s what Clermont did the previous week away at Toulon. The outcome? A 26-all draw with only a last-gasp Matt Giteau penalty salvaging a share of the spoils for Toulon. Such is the strength in depth of this Clermont side that they can leave out 14 of their top stars and still draw with the Top 14’s top side. Or at least that’s what Toulon were up until Saturday evening. But defeat away to Grenoble, coupled with Clermont’s four-try rout of Toulouse, means that the men in yellow are the new leaders of the Top 14 with just one more round of the regular season to play. Clermont are peaking at just the right time (they have lost just one of their last eight league matches) and now Munster are in their sights. Earlier in the week coach Vern Cotter called on the fans to drown out Munster’s Red Army, saying: “It will be important to have all the ‘Yellow and Blue’ people behind us…even if we’re not really at home, I think our supporters are going to do all they can for the Yellow Army to defeat the Red Army”. 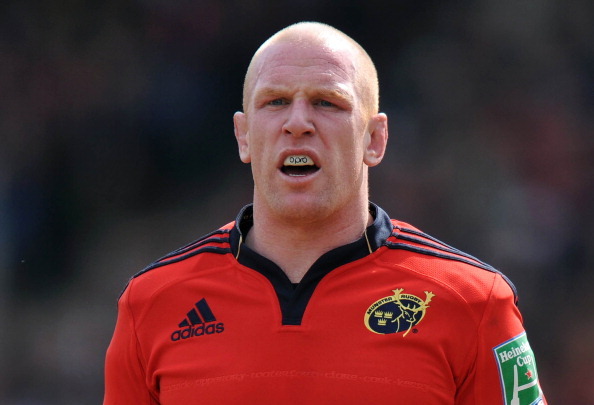 Even with O’Connell in their line-up it’s hard to see how Munster can hope to defeat Clermont. With fly-half Brock James back in the mix after recovering from injury, the French club have a full-strength squad from which to choose, although Aurelien Rougerie will undergo a fitness test on his thigh later in the week. Of most concern to Munster will be the threat posed out wide by the Clermont threequarters. Against Toulon it was Fijian flier Noa Nakaitaci who scored a brace of tries; against Toulouse , it was the turn of former All Black wing Sitiveni Sivivatu to cross the whitewash twice. With Wesley Fofana in the form of his life in the centre, scrum-half Morgan Parra potting goals from left, right and centre (he scored 16 points against Toulouse) and Lee Byrne and Jean-Marcellin Buttin vying for the full-back jersey, Clermont have the potential to overwhelm Munster on Saturday. The Red Army will march south believing their boys can pull off a shock, but the reality is likely to be a painful defeat as the Yellow and Blue army continue their conquest of Europe.